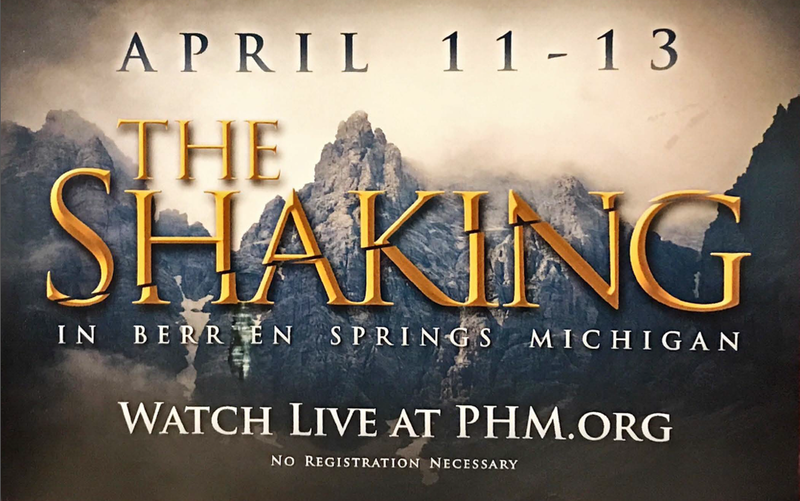 Flyers were recently distributed in the Berrien Springs area, advertising a meeting in Berrien Springs called The Shaking. The same flyer was distributed to Adventists around Collegedale Tennessee. The individuals listed as speakers for the meeting are universally aligned against the concept of the triune Godhead in the Bible. They are referred to in some circles as anti-trinitarian. Their goal is to siphon off members from the Adventist Church into their strange belief system. This is an Adventist topic—the Shaking. But what they are going to be presenting is not the Shaking. At least two of these individuals have been disfellowshipped from the Seventh-day Adventist Church. One is a former pastor. They accuse the Adventist Church of being in apostasy because we share a similar belief regarding the Godhead (or Trinity). They are going backwards at a time when we need to be going forward with the Holy Spirit. If you pick out little parts of the Bible or SOP, you can make it say what you want it to say. Their goal is to create confusion in your minds. Let me caution you against this heresy. They will say that the Church is Babylon because we adopted the biblical belief in the Godhead long ago—the Father, Son, and Holy Spirit. It is not easy to get disfellowshipped in the Adventists Church. There has to be a compelling reason. This movement is a mission-minded group—they are preying on the Adventist body of believers. Under the banner of new truth they are marketing old apostasy. They do not have a message and mission to the world, their goal is to draw off members of the Seventh-day Adventist Church into their group. Regarding this Shaking meeting (which isn’t about the Shaking at all), wise Adventists will either walk away from it, or run. Of the two, we recommend run. “They went out from us, but they were not of us; for if they had been of us, they would have continued with us. But they went out that they might be made manifest, that none of them were of us” (1 John 2:19).